Women’s football is increasing exponentially, with 2018 being one of the best years in popularity and with all year 2019 to come. Women still facing hard challenges day by day, in a sport were men are “supposedly” to be the main force. That view is slightly changing, and one day both will be equal. 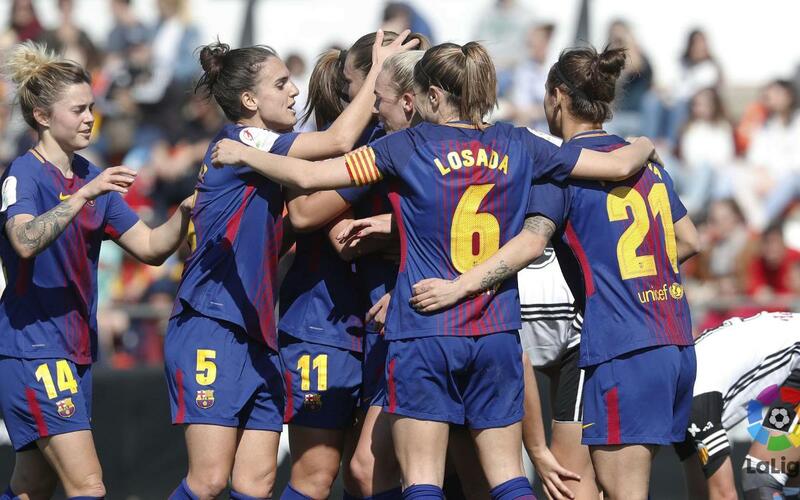 All countries have their challenges (England, Italy, France, etc…) to affront to increase women’s football popularity, recognition, and equality, and now, it seems Spanish women’s football has moved first to make changes that improve the play. They’re facing a historic moment. The year 2019 is called to be that of the elaboration of the first collective agreement, which will regulate topics of utmost importance: the salary of the players, days and working hours, image rights, breaks and vacations, training rights, medical coverage, protection of maternity and family conciliation, prevention of workplace harassment and TV rights. On December 8, 2018, there was a first negotiation table established between the UGT unions (General Union of Workers), ON and AFE footballers (Association of Spanish Footballers) and the Association of Women’s Football Clubs (ACFF), which brings together all the clubs of the Liga Iberdrola minus Barça and Athletic Club. The next appointment is February 6, with a final obstacle that hinders negotiations: the convenience or not of a minimum wage. From the unions, it is requested that the soccer players charge 1,100 euros per month for a day of 25 hours per week, although the ACFF understands that this measure is unfeasible in a deficit league, which loses around 4 million euros per year. They understand that it would only slow down the development of women’s football and put at risk the most “humble” clubs, which could even disappear. With the exception of Barça, thanks to the incorporation of Stanley as the main sponsor, all Liga Iberdrola clubs have a deficit. Their budgets are not public, but they could be ranging from 300,000 euros to 6 million, according to Spanish sources. The clubs understand that a great effort is being made to maintain their female sections, even more in the case of entities that do not have the backing of a powerful male team such as Albacete Nexus, Granadilla or Madrid CFF. As it is right now, box office revenues, the two million Iberdrola sponsorship and the other two million received from LaLiga are the main sources of income. The television rights are not yet charged since the Federation agreed in its day with Mediapro to broadcast the League matches for free in exchange for visibility. The three-year contract will be renewed this 2019 and could already bring benefits. Meanwhile, the reality of women’s football is what it is: deficit but encouraging. The slogan is to walk with ambition but without forgetting common sense. We’ll need to wait for it a little to see how the situation develops and to see if women’s football can earn and grow more as the time comes. Next The Next Country To Join Women’s Football Crusade?